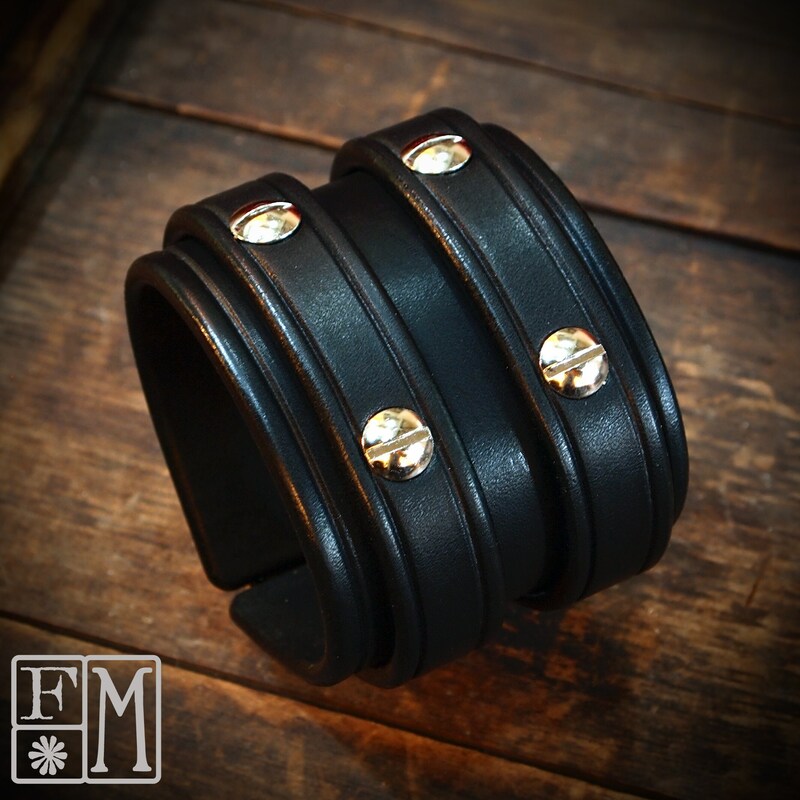 Black studded Leather cuff Bracelet : Luxurious Bridle leather Double strap wristband. 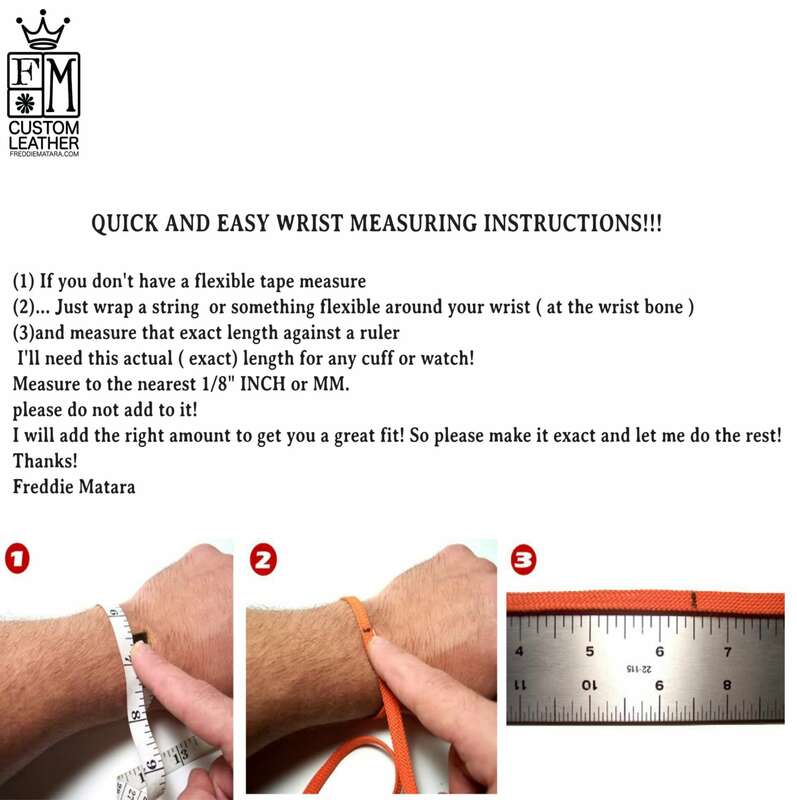 Made in USA Using Refined techniques! 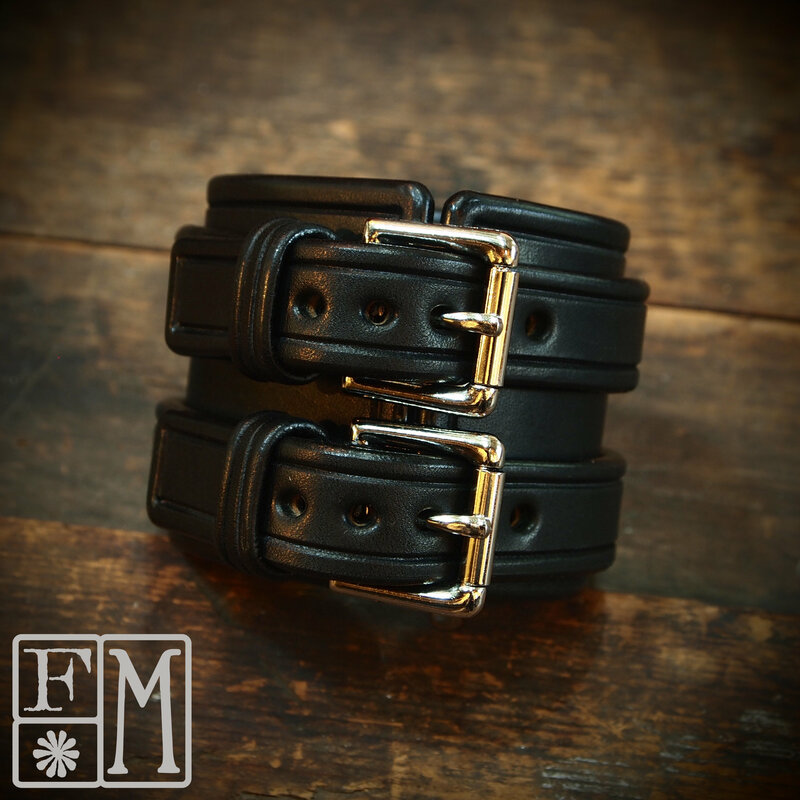 This Black leather cuff in American Bridle leather is sophisticated, edgy and lovingly crafted. It is 2.5" wide and every plane is scribed around the perimeter as are the keepers. 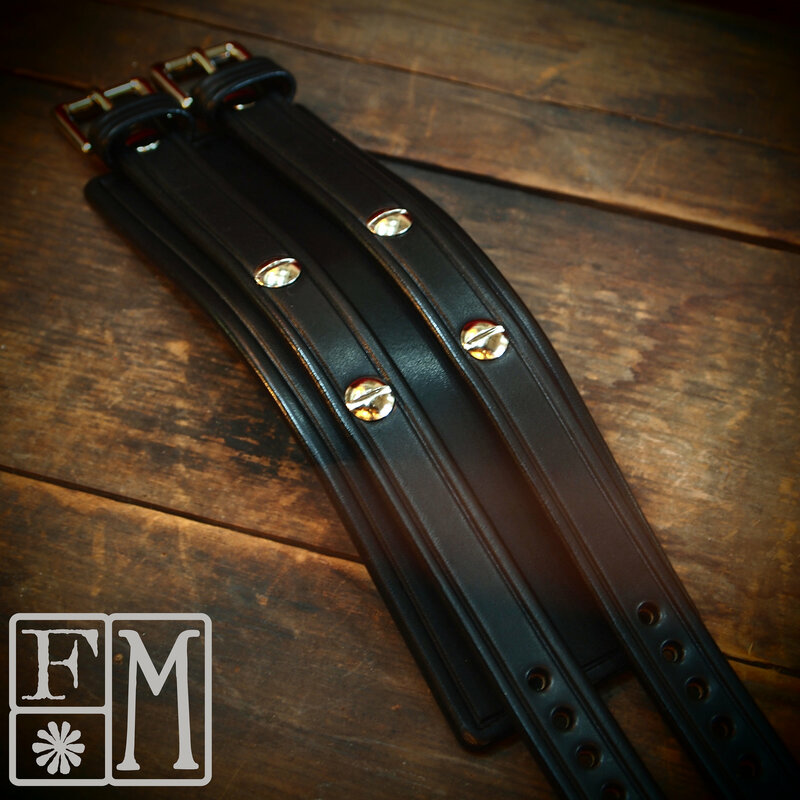 2 screw rivets on each strap give it some edge!